$3 admission, select food items & games. Unlimited Rides ticket $23 (SAVE $5). Valid only on March 20 & April 3. $6 deals on food, games & merchandise. Monday through Friday before 6 pm. Look for the $6 deals sign displayed at participating locations. Bring a souvenir cup from a previous year and pay $4 for the refill. Get on the rides faster! EXPRESS PASS is sold only at the fairgrounds for $20. Admits one guest throughout the duration of the 2019 Youth Fair (one entry per day). Rides & games are not included. $24 online; $26 at the fairgrounds. Valid on Thursday, 3/14/19. No coupon required. Valid Monday through Friday before 6 pm. Cannot be combined with any other discount or offer. Coupon must be printed or presented on mobile device. 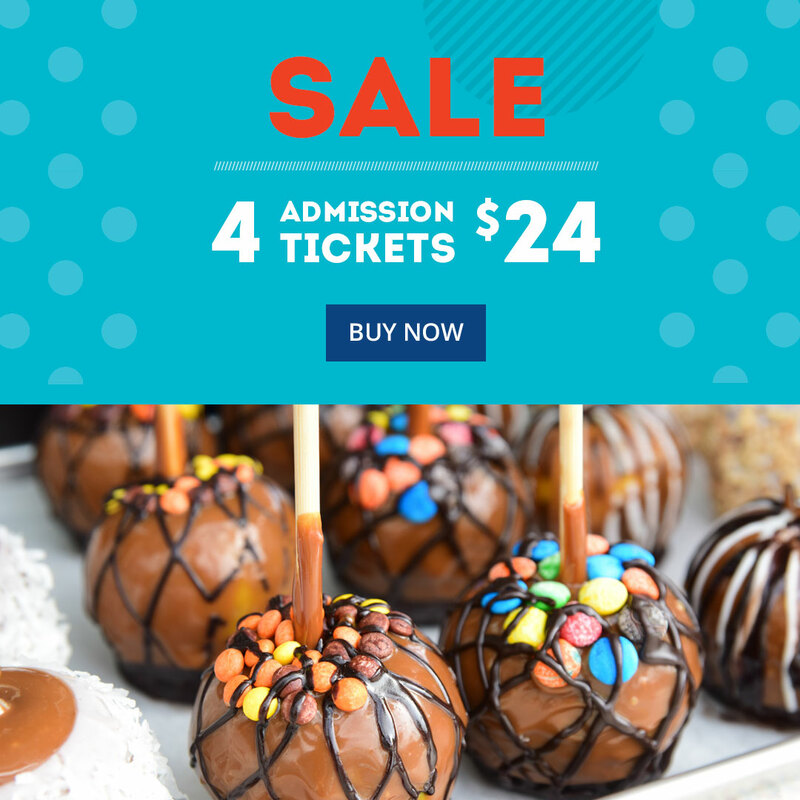 Parents receive $4 off admission with ticket that is attached to the Free Student Admission ticket distributed by Miami-Dade County public, private, charter & home schools. Cannot be combined with any other discount or offer. Ticket is required. Present Easy Card or Easy Ticket Monday through Friday to pay $6 admission. Cannot be combined with any other discount or offer. As you leave the fairgrounds, ask a Youth Fair employee at the exit for a bounce back coupon and save $4 off admission on your next visit. * Cannot be combined with any other discount or offer. Coupon required. Valid Monday through Friday. Must present Flanigan’s Lunch Club Card to redeem. Card will be stamped. Cannot be combined with any other discount or offer. Buy any two 20 oz. Coca-Cola product at participating Family Dollar stores to receive coupon, which will print on receipt provided by store. Coupon must be presented when purchasing ticket at the fairgrounds to redeem offer. Cannot be combined with any other discount or offer. FREE admission every day, all day. FREE admission for Boy & Girl Scouts wearing their uniform on Thursday, 3/21/19. Bring current FIU ID & receive FREE admission on Thursday, 3/28/19. Admits one student grades K-12. Valid Monday through Friday. This ticket is distributed to Miami-Dade County public, private, charter & home schools. Cannot be combined with any other discount or offer. Ticket is required. Please contact your school if the tickets have not been distributed to the students by March 1st, 2019. Must present valid ID. Cannot be combined with any other discount or offer.